For the record, I am not voting for Donald Trump. 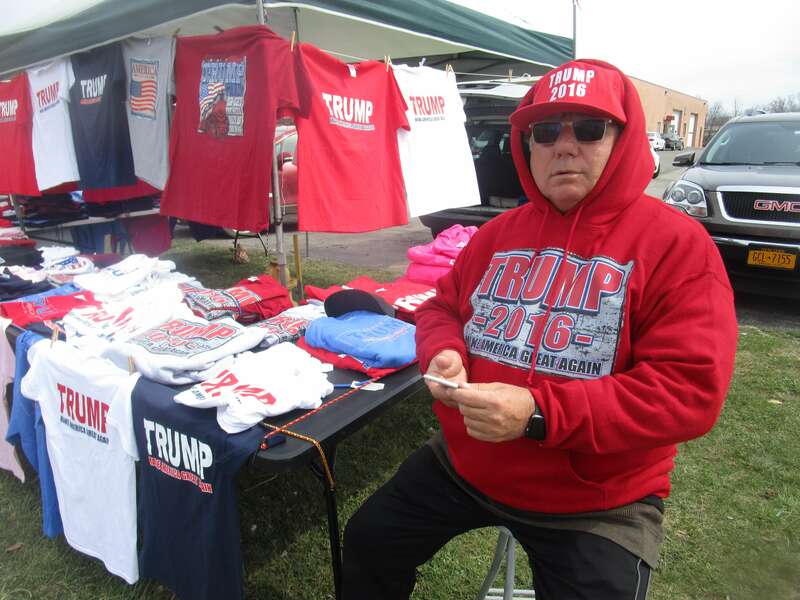 But the Trumprenuers deserve their day: the dozen or so vendors who crisscross the country selling Trump merchandise. And today — as people were filtering into the Trump rally at the airport alongside sizable groups exercising their free speech in opposition — I met who I call “the Trumprenuers” on Scottsville Road. 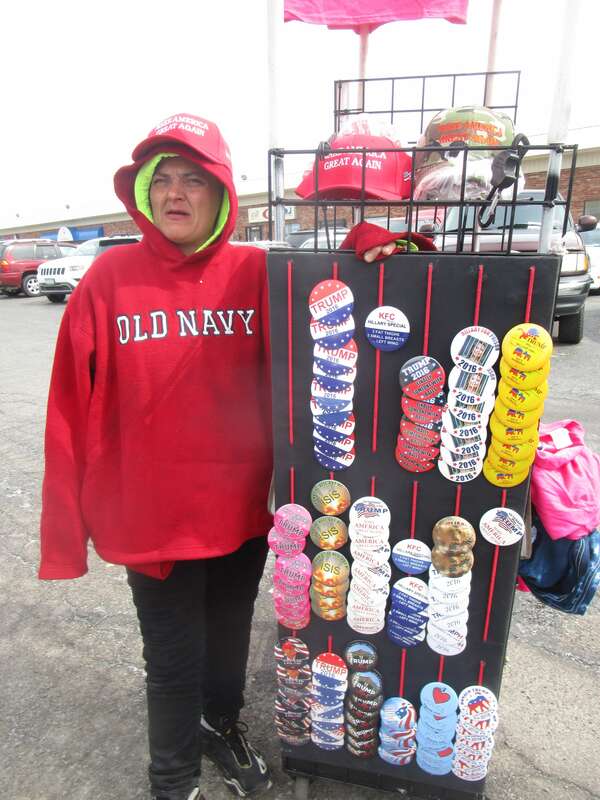 Hawking shirts, buttons, hats, bumper stickers, lapels, you name it — replete with Trumpisms and red, white and blue galore — Jasper (right) has travelled thousands of miles through the Carolinas, Kentucky, Illinois, Indiana and back and forth from Florida. Many of the merchandise nomads, including Jasper, call Florida their provisional home: Tampa, Daytona Beach, Sarasota. Younger than most — concenssionaires to their core — David has enjoyed his first cross regional journey. The money is good, sometimes very good, but David also likes meeting the many different kinds of people he would not encounter at home in Daytona. Most said they also support Trump, although profit not partisanship seemed the priority motivation. For Paige, a really strange life would be working 9 -5 at a Walmart. She vaguely recalls being in Rochester as a small child, already getting life on the road in her blood. 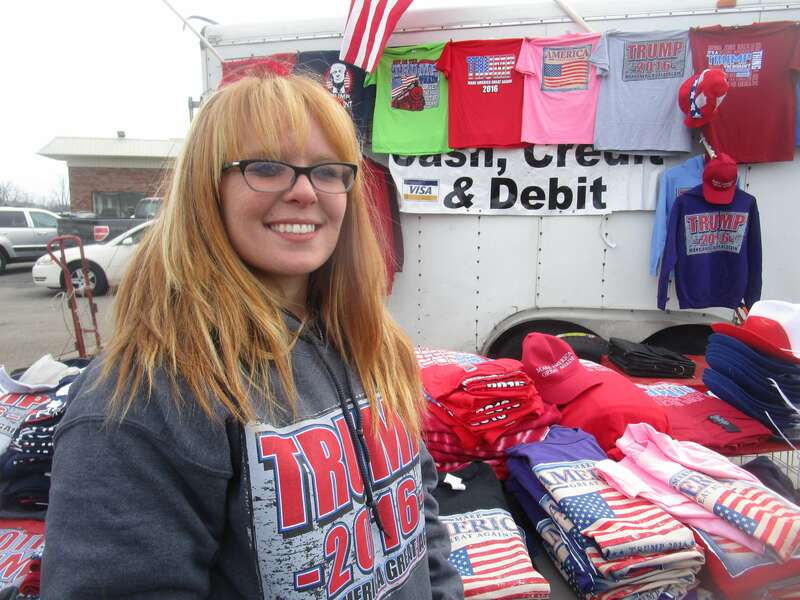 Like the other vendors, Paige says Trump rallies are where the money is. Clinton rallies can be tepid. Sanders rallies draw big crowds, but “it’s all liberal kids who don’t earn a paycheck.” Or spending their parent’s money. 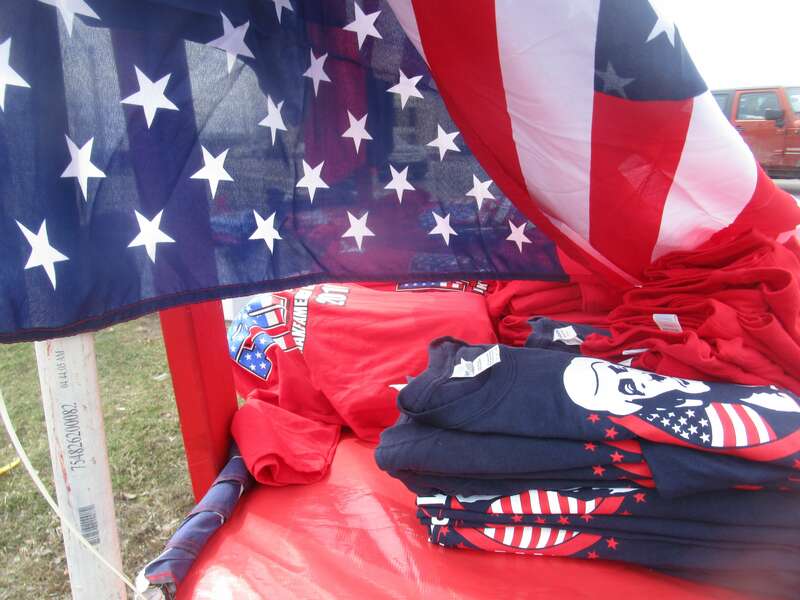 Every four years, Paige’s company ramps up its production of election campaign merchandise. This year the investment in Trumpenalia is paying off. 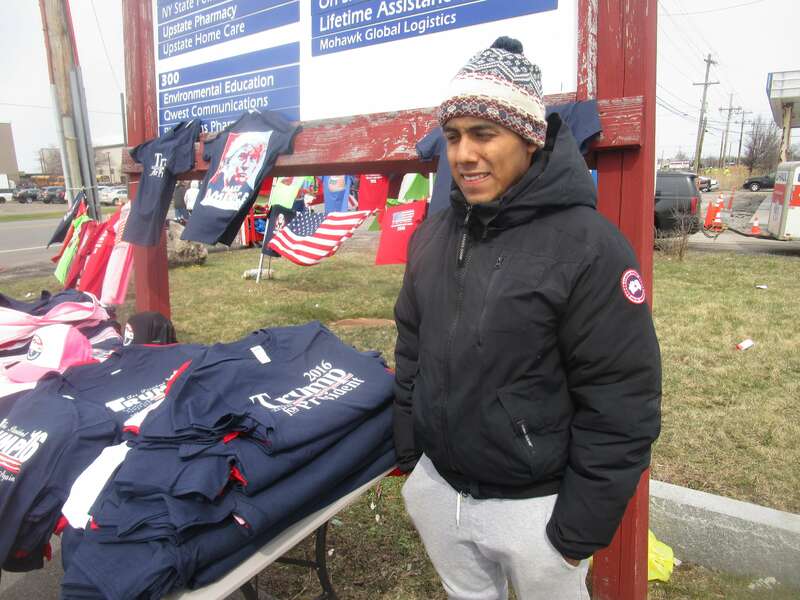 The only northeastern vendor, Chrissy lives in Buffalo although she’ll travel anywhere. She just returned from a rally in Bethpage, Long Island. There, a crew making a documentary filmed her in action, saying, Chrissy, you are going to be famous. Mike McNeil from Florida didn’t have that much to say about life on the road. It’s just the only life he knows. 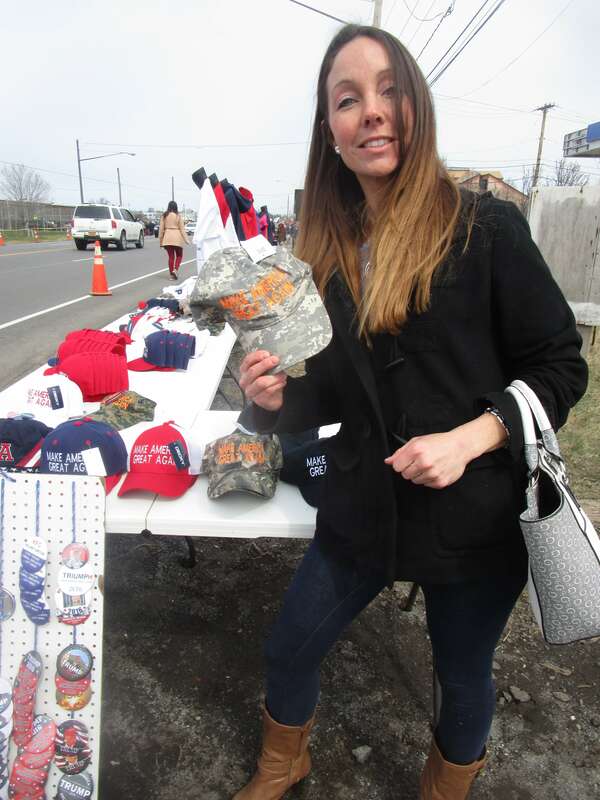 Excited by her hat purchase was Jessica Rowe, a member of the Air National Guard living in Scottsville. 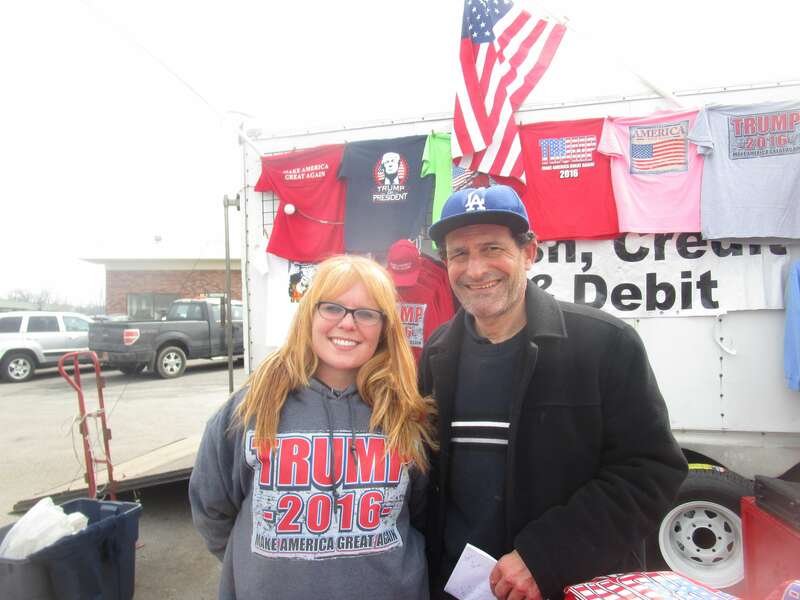 She was thrilled that Trump was coming to her town. Jessica loved the red, white and blue colors, looking like spring flowers enlivening this otherwise dreary stretch across from the airport. We didn’t really talk politics. 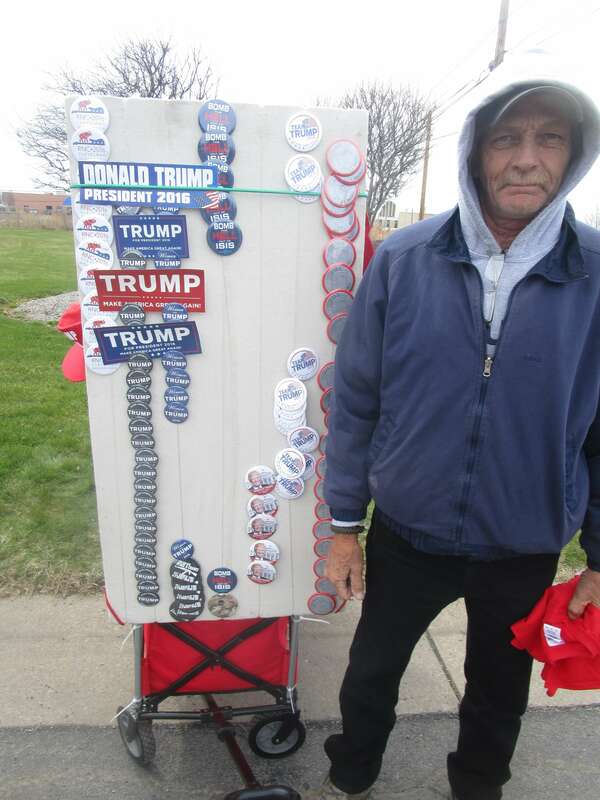 Given that their merchandise will appreciate in value if he wins, Trump might be their man. But if they want a candidate friendly to small business entrepreneurs on the road, they might do well also taking a look at Bernie Sanders. 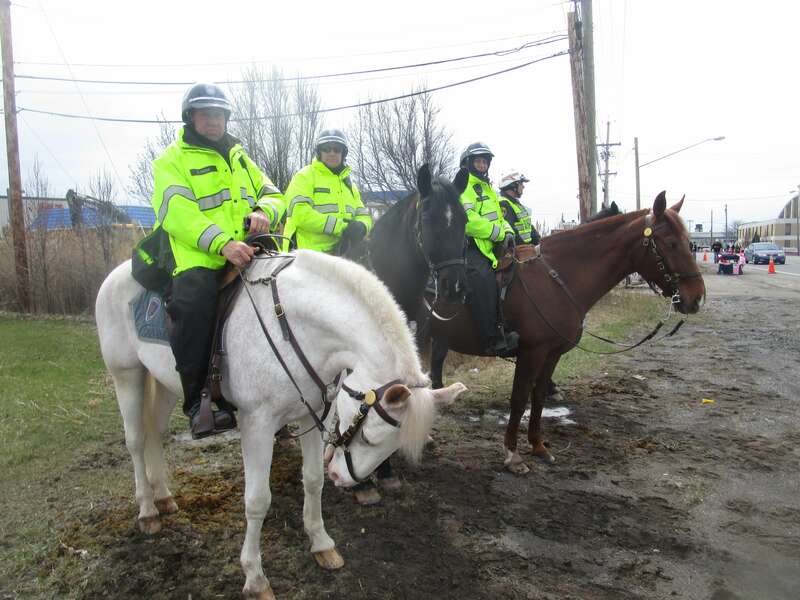 Like at any political rally, there was plenty of horse cookies in the air. Millions of views and counting! Athesia makes the featured Bernie Sanders campaign video.